Looking at his time spent in a New York City high school, Mr. Kolbe felt nervous about leaving — but to him, this was all normal. “This is a risk. When you’re a Department of Education employee, you know that you have a union protecting you and a salary that will go incrementally up every year. It’s safe. And when you go out in private, you need your boss to like you. You need everybody to like you. And then you’re still hoping the job is still needed, even if they like you. But, the thing I’m not worried about is that I know I’ll be learning a lot and I’ll be able to say to anybody else I have these skills.” He went on to explain, “They’re hiring me to work in a mentoring role. So, I think my students will change age. Here, I don’t have many technical people to work with. I’ve missed it.” Outside of school, Mr. Kolbe has techinical friends who he feels comfortable “bouncing ideas” off of. Though he will miss the community here, he’s proud that these relationships tend not to stop when students graduate and leave. “Well, everybody knows that the students here are really fun to work with. That’s something you hear from the teachers all the time, so I’m not sure I want to be a teacher at another school… I have students who still tell me how they’re doing in their careers and it’s really exciting,” he said. 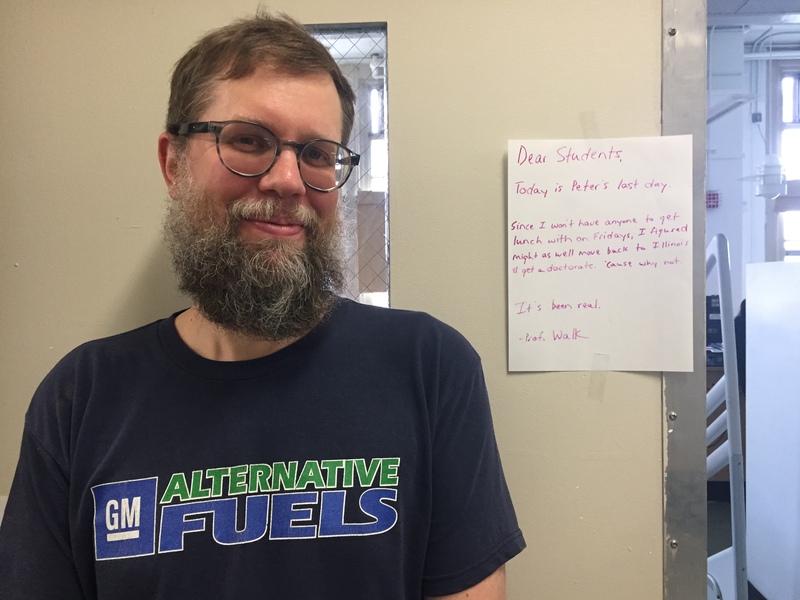 As Mr. Kolbe introduced the lab tech’s schedule to his new replacement, he explained, “If you want somewhere to concentrate, this is the place.” As he said farewell to BHSEC students and wished good luck to the new computer lab supervisors, we wish him luck with his new career.